Thanks to the use of ultrasound imaging, it’s fast and easy for doctors to perform a biopsy on just about any part of the body and access the exact area of interest to remove tissue for testing. Without biopsy ultrasound machines, patients would have to endure considerably more pain as doctors would be forced to likely take multiple samples in the hope of hitting the right area. But by using ultrasound imaging as a guide, a surgeon can see exactly where that needle is going. That helps reduce the size of the incision on the patient and gives surgeons the confidence of knowing that the tissue has been removed from the target area. 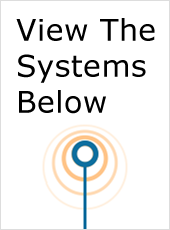 When it comes to biopsy ultrasound machines, no site has a bigger selection or lower prices than UsedUltrasound.com. All of our pre-owned ultrasound systems come with a 100% guarantee and are completely refurbished, tested and inspected to meet the original manufacturer’s specifications. You can rest assured that your pre-owned ultrasound machine will perform every bit as well as a new one. The only difference is that you will pay 60% or less compared to the price of a new ultrasound machine. 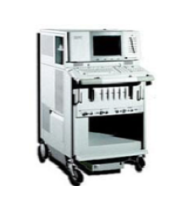 Some of the best models for biopsy ultrasounds include the Acuson 128 XP10 and Fukuda Denshi UF-850XTD. 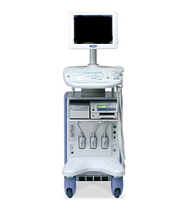 With the large selection of used ultrasound machines at UsedUltrasound.com you are sure to find the right machine at the right price. We have all the most popular models at the lowest possible prices. And if you are looking to save even more money on ultrasound costs, then consider using pre-owned ultrasound probes and transducers. You can rest assured that used probes, transducers and parts will perform just like new ones would, but you just won’t have to pay as much.